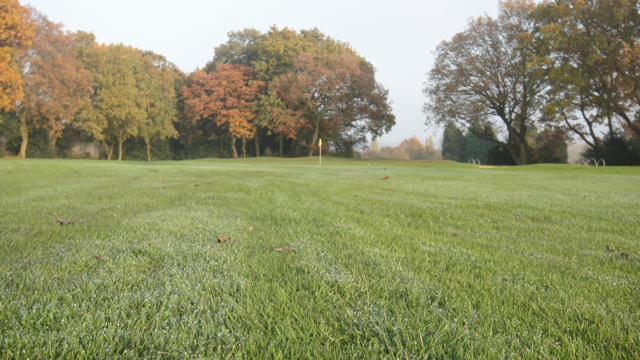 It’s getting colder, darker, more humid and more unpredictable weather-wise. 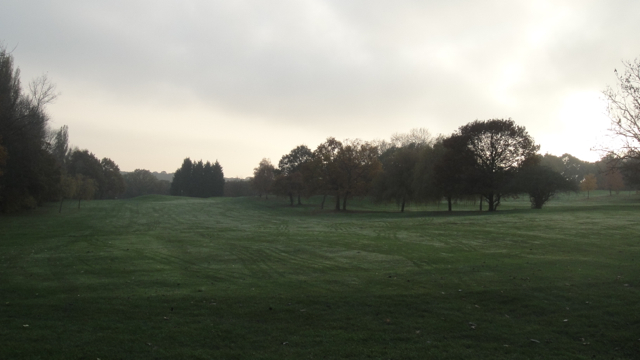 Daylight is gone by 4pm, at least if you need enough light to see the ball, especially when your swing is so inconsistent at the moment that you can’t predict whether the ball smashes into the bushes on the left, into the trees on the right or will come to a rest 275m further in the middle of the fairway. 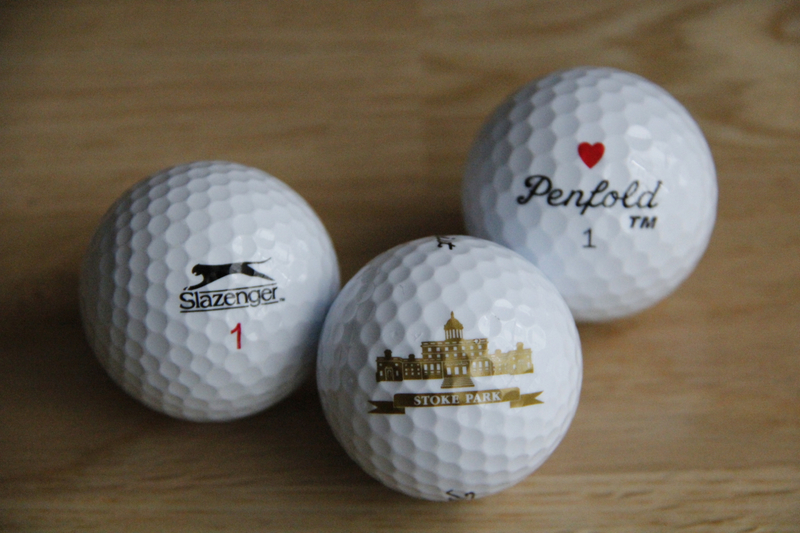 But what could I ask for – I have only played 5 rounds this year so far!! 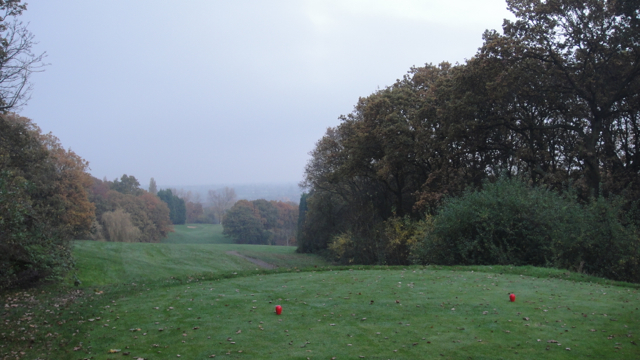 So I wanted to play one more and call it a season here around London and a colleague wanted to come along to have a very last good golfing day in 2012, enjoying the game, enjoying a beautiful autumn day, breathing freely and to have a nice refreshing pint of Guinness at the club house afterwards. 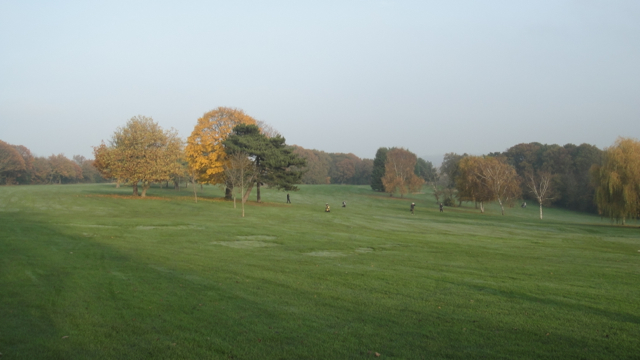 We decided to play a round at Shooters Hill Golf Club, which is not far from our office in Canary Wharf. We left office quite early, headed to the course, jumped into the golf gear and off we went. I have to say that I wasn’t really impressed with the course. 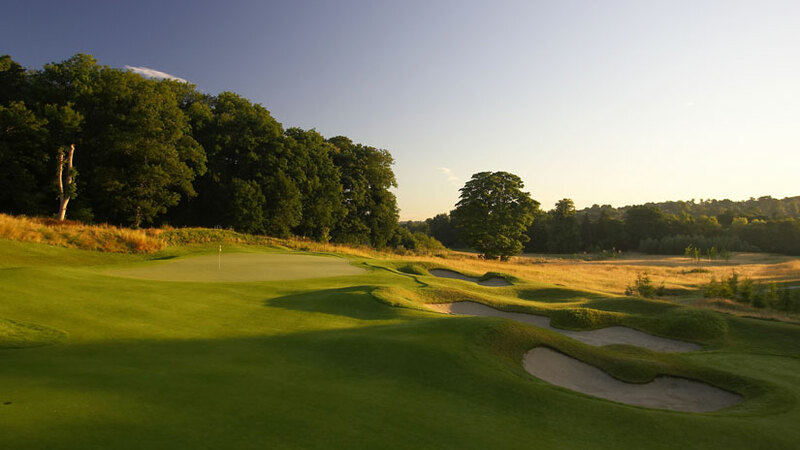 It’s a par 69 course on a tiny field, leading to the fact that at some places everything is so small and compact and jammed together that within a lob wedge shot distance you’ll find 3 greens and 2 tee boxes. 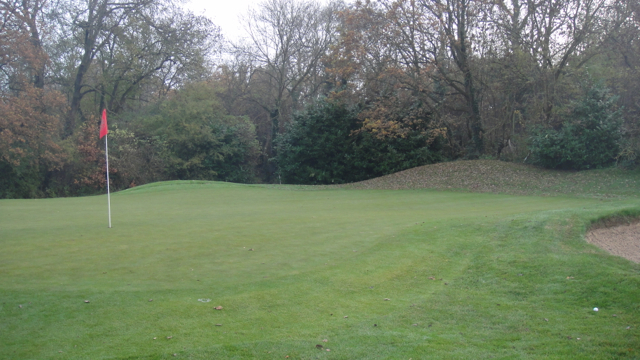 We even had to drive over another green on a par 3 and were hoping the other guys had seen us in our pre-shot routine. 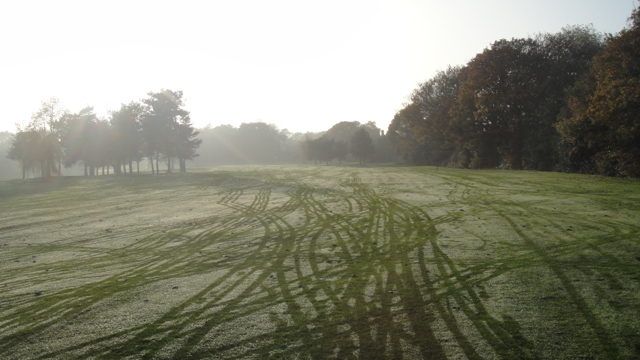 Plus, the condition of the course wasn’t the best. 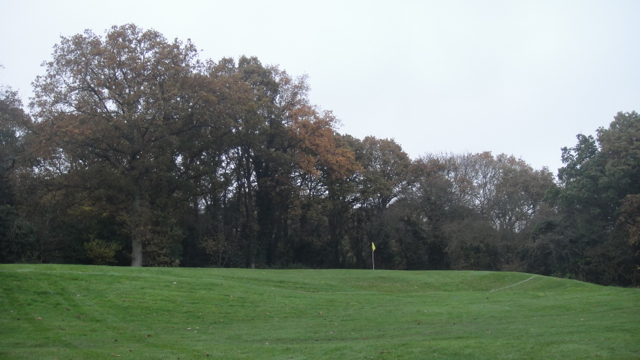 That is probably understandable this time of the year with less maintenance efforts and lots of rain, but still, made the impression of a cheap public course – which it is not! But what was really underwhelming was the club house. I haven’t ever seen such a run-down building on a golf course before. And the pro shop next to the putting green was no better. Truth be told, I was really disappointed because if you have a look at the pictures on their website, you’ll think: “holy moly, what a posh place just around the corner!” Realising though, that this is far from reality, you understand the reduced prices and that in the lounge bar, there were only 4 grandpas playing cards (with no car at the carpark, therefore locals). 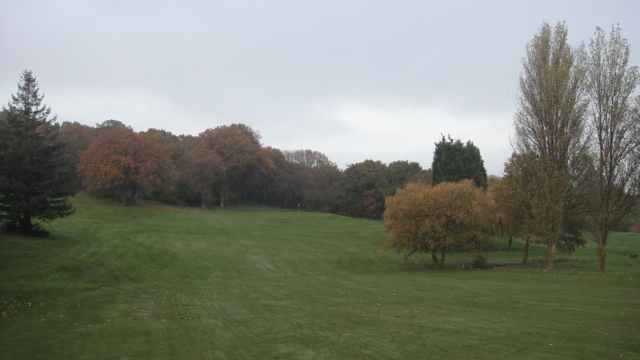 So after playing 10 holes (till it got too dark to continue), walking the course up and down and up and down – it’s called Shooters “Hill” for a reason, we decided to quit, have a pint, head home and conclude the day and season. And to be honest, I’m not sure if I’d be back soon. Probably next summer, I give it another try, the pictures on their website are so damn good looking… see here. 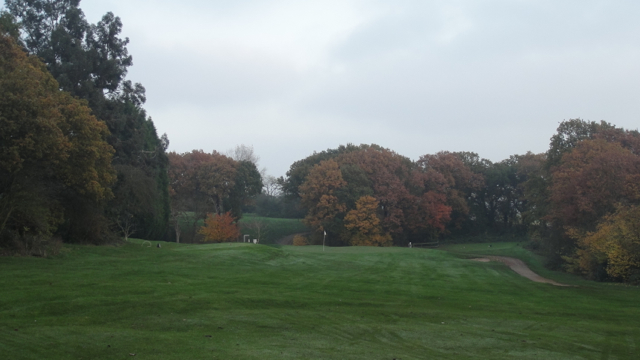 The Grove is one of the finest golfing venues I visited so far. The attached hotel is awarded as one of the finest in the world and and is beautifully situated in the countryside in Hertfordshire, north-west of London. 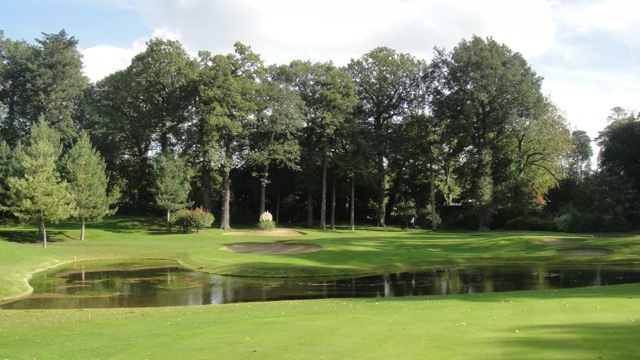 The hotel is equipped with luxurious spa facilities and the golf complex is fitted with cosy restaurants, bars and everything a golfer could ask for. I highly recommend a round or two when you are around. 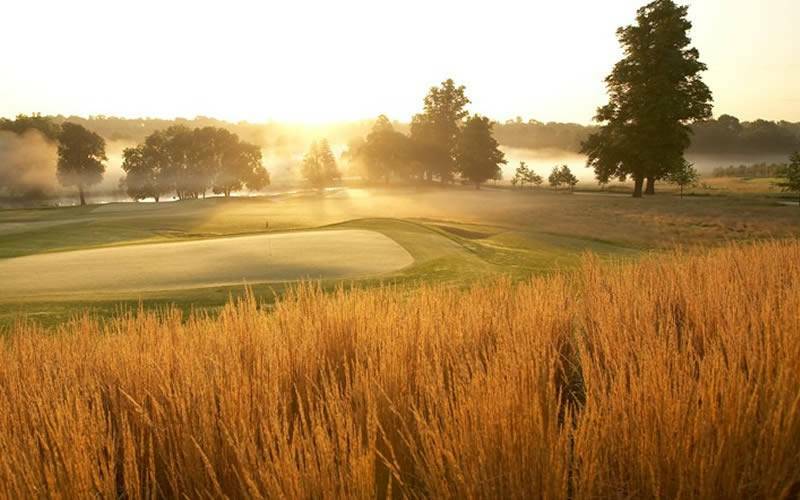 The venue hosted the 2006 WGC American Express Championship that Tiger Woods could win these days. He currently holds the course record as well, if I’m not mistaken. It was one of these days; almost everything perfect, a nice round on a fabulous course, great service and amenities… so everything great till someone enters the room and ruins your day. He looked into 30 astonished faces, we had no idea Rory was even there. As it turned out Rory McIlroy was, 50 meters away, practising on the range for 2 hours and had, as the official part, the EA Sports Crossbar Challenge to play. It made me want to tear my hair off. Rory just around the corner, ready for some autographs or even some down-to-earth talking… that would have been the ultimate icing on the cake! 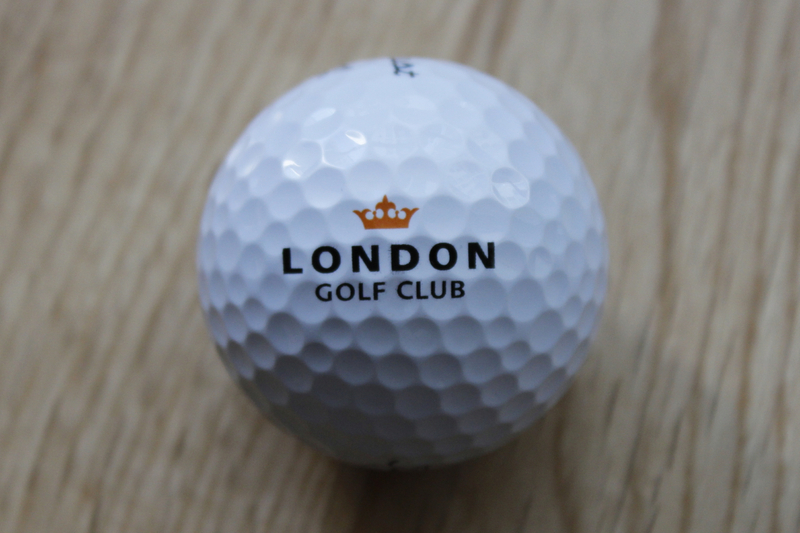 Starting off with this new section on the website, I dedicate the first ball in the showcase to the City of London. 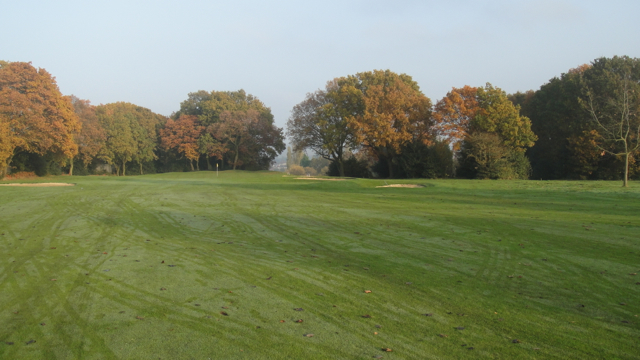 My first round in the UK I played here on the Jack Nicklaus Heritage Course of The London Golf Club, a very nice venue just outside (south-east) of London, near Brands Hatch. It was the very first time I played such an elite golf course, designed by a spectacular golf celebrity and this really blew me away. 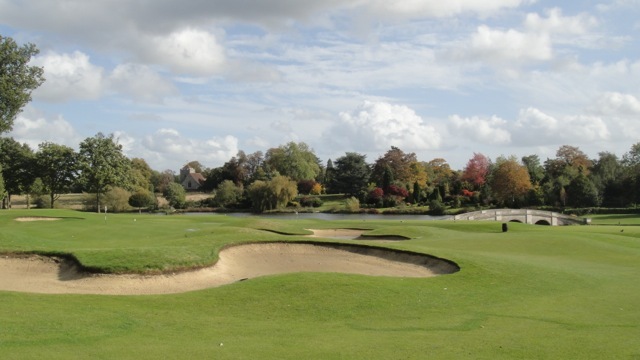 I played some nice courses in Germany as well, and some may belong to the Leading Golf Courses in Europe, but The London Golf Club (Heritage Course) is truly a beauty. 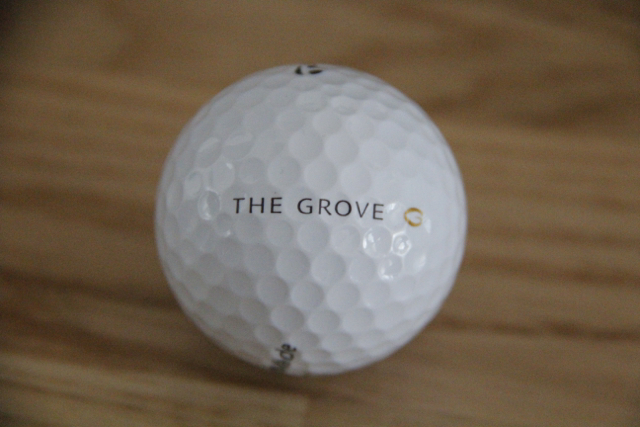 The Grove: an elite golfing venue! 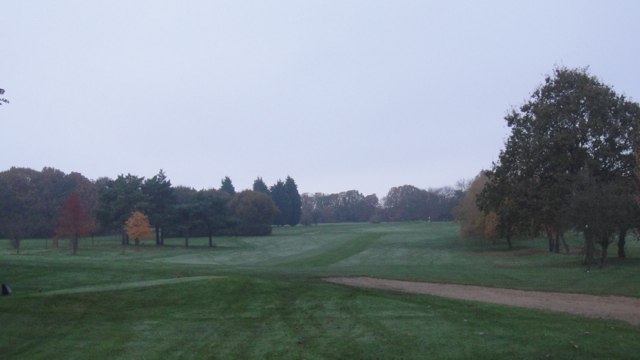 Last week it was the London Golf Club, south-east of London, this week it was The Grove, north-west of London. Both fabulous golf courses and venues but The Grove really blew me away today. 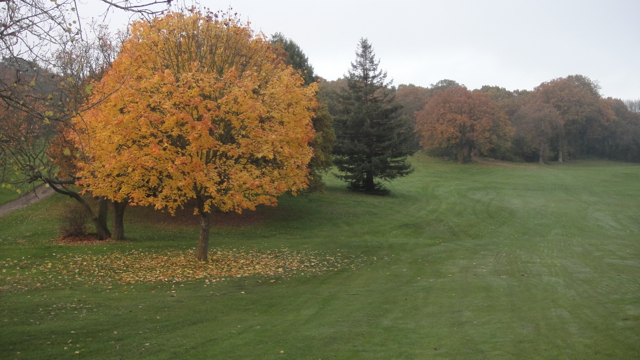 It’s a fairly new course and really everything is in perfect shape. What’s as well in perfect shape is the service. You have no idea how incredibly thoughtful the staff of The Grove is. Really amazing how they organise stuff, care for you and make your stay as comfortable as possible; beginning with valet parking, golf bag handling, carts preparation, club and shoe care and not ending with delicious food in one of the restaurants, tournament management etc. 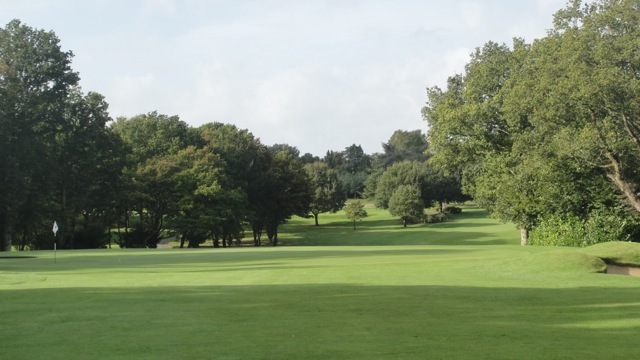 If you’re in the Watford area in Hertfordshire or just fancying a perfect round of golf, please consider to play a round at The Grove, you’ll never regret it. It’s not cheap but definitely worth it. Best would be to stay for the whole day… or even overnight in the stunning hotel (member of The Leading Hotels of the World).